In Marche, Italy, there’s a lot of incredible stuff that attracts tourists from around the world. When it comes to vacationing, Marche is growing on the list of destinations that people want to visit and enjoy when touring Europe. With that, many real estate investors have taken to attempting to set up vacation homes for people using VRBO or AirBnB, similar to much of the rest of the world. 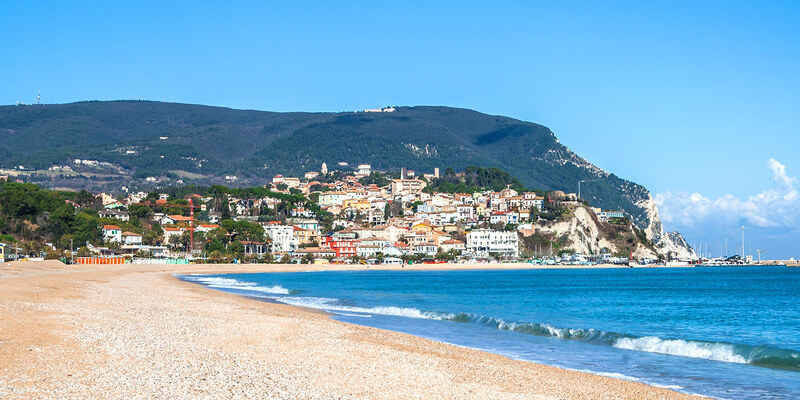 Since there’s a lot of beach town vibe in Marche, it’s becoming increasingly popular with people involved in real estate. Beach homes are generally one of the most sought after spots for people vacationing for the summer or traveling through multiple countries. Because of that, the occupancy rate for vacation homes like that are really very high. Sometimes booked for months in advance. With Marche’s popularity climbing (it used to be considered a poorer area), the development or rehabilitation of local homes are on the rise as well. There are some things to consider when looking to purchase or set up a vacation home. First of all, if you don’t already own a home, one option you can look into is a master-lease, where you lease a property with the intention and permission of turning it into a short-term rental property. Then, realistically, how popular will the location be? Generally, the occupancy rates will be quite high, but there are certain areas that are less than ideal and the bookings may suffer from it. Additionally, are there certain times of the year or seasons where the home may not be booked as much? Now, looking into the actual operating costs, it’s important to factor in things like consistent cleaning, property management, repairs and maintenance, electrical, internet, and other utilities or services that may be in use in the home. All these things add to the monthly overall cost of the property, and they’re a factor when identifying what the profit margin or cash flow will be long-term. The last thing to think about is, what kind of audience are you going to housing in your vacation property? Depending on the location, you might get younger people that are more likely to enjoy the night life and return afterwards, or you may get families that are on summer trips out to the beach. With that market research, you’ll know how to handle the fees and expectations. More alcohol-frenzy audiences will require a buffer for repairs and maintenance, and more thorough check-ups after bookings are complete. it’s something that you don’t really consider until it’s too late and you’ve incurred some costs that you weren’t expecting. And in that case you may seriously consider getting homeowners insurance as well as liability insurance to protect your home and your venture. …If at all possible, you might want to check into seeing if you can find houses at a discount. Since the economy was once a bit poorer than it is now, you might even look into finding properties that you can buy with cash in order to get a discount on retail market value. if you can achieve that, then you’re already one step ahead in creating positive cash flow and maximizing the profit margins. Next up is figuring out where you want your audience to come from. There is VRBO, which in a lot of cases is more suitable for longer term stays. Something like 1 – 2 weeks or longer, you’l find that VRBO provides the right kind of audience. But anything other than that, AirBnB is more well-known for shorter terms stays and even by nightly stays. In general, for vacation homes, especially in destination areas, most visitors are going to stay weeks at a time, so it might be best to set up on VRBO. It’s important to make sure that you take really well-lit professional pictures of the exterior, interior, and surrounding areas when setting up your listing. And when you do have visitors, making sure they have all the information they need from being able to operate inside the property to knowing where are the closest and easiest grocery stores or points of interest to get to. These are all things that affect the experience of vacation homes, and they’re immensely important in increasing the quality of the stay. This all affects your brand as a rental home, and it’s something that can be repeatable in many homes should you choose to set up multiple vacation home spots. With that, you can establish a very profitable business with just vacation homes, and the first start can definitely be in Marche, where you get a beautiful view with a small town feel. Many people enjoy environments like that, and no doubt it will be extremely successful. For more info on Marche and vacation related homes, check back for more info on our homepage.